The Department of Education for England has ruled that the A-level course (for senior secondary school students) in Creative Writing should not be available after 2017. This course has only recently been introduced after a long gestation period that involved a good deal of consultation between the profession, the examination board and Ofqual, the qualifications regulator. The statement from the DfE gives no detail as to the reasons for this decision, but it is understood that the course is thought to reward skills rather than knowledge and to overlap with other A-level English subjects. The relationship between skill and knowledge is much contested philosophically, but in the case of writing it is evident that a high level of skill depends upon the ability to apply cultural knowledge. Shakespeare’s gift depended on his knowledge of the histories, chronicles and popular literature of his time. In the A-level Creative Writing course, students have to study non-literary (‘professional’) writing, prose fiction, prose non-fiction, poetry and play-script. In this way, they develop their grasp of generic conventions, style and voice, narrative and poetic techniques and other aspects of the writer’s craft. The extent and depth of their knowledge is assessed not only by the content of their writing but also by the reflective commentary that they supply as part of the assessment. If the first of the DfE objections implies that candidates don’t gain sufficient knowledge, the second rather paradoxically suggests that the knowledge they gain overlaps with that offered by other English subjects. 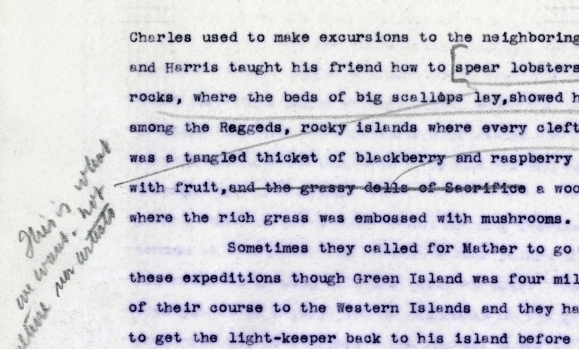 Some overlap between subject content is inevitable in many fields of study, but the crucial difference here is that creative writing is a different kind of knowledge from that assessed in a Literature course. The most popular English A-level, English Literature, involves writing about literary texts. Novels, plays and poems are analysed by reference to genre, historical context and literary qualities. This analysis is then assessed largely by an end-of-course examination. This kind of writing, where the literary text is used as evidence in a formal argument, is very different from creative writing, where cultural knowledge is used in order to produce an original work. It is the same difference as the difference between writing about art or music and producing an artistic or musical work. Writing can be as much a creative activity as are art and music: an embodied form of knowledge that, in the words of the teacher quoted below, makes learning tangible. In Creative Writing students learn, through writing practice and wide reading in contemporary fiction, non-fiction, poetry and script, to use the English Language for creative purposes. Some have been published or won prizes through for their writing. That, however, is not the achievement of the course. What is, is the genuine spirit of collaborative exploration of ideas and ways to express them in words. An effective writing workshop makes learning tangible. Students offering advice, support and critical appreciation of each other’s work is at the heart of this subject. They are not passive vessels soaking up content but are active creators of new literature. The subject is empowering and enabling. In a recent poetry workshop, one student grinned at me and said, ‘This is so exciting.’ I have never heard that in an English Language or Literature classroom. Yes, writing is a skill, but it is also a craft and an art. I love teaching English Literature but as Ted Hughes exemplified, it does not foster creativity. Creative Writing as product is central to our culture. Why then is Creative Writing as practice not central to our education system? At the same time that creative writing is being withdrawn from the A-level curriculum, it is increasingly studied in higher education: including combined degrees, there are more than 500 creative writing courses in UK universities. Given the intention signalled by the DFE in recent years to improve continuity and progression between A-level and higher education, the withdrawal of A level Creative Writing is an extraordinarily retrograde step. A petition started by the National Association of Writers in Education has reached nearly 4,000 signatures. If we want to improve our students’ literacy, we should not narrow their curriculum by providing ever more test-oriented literacy lessons. We can instead enrich their curriculum with more creative and physical activity, raising motivation and energy levels, and providing the stimulus for more effective learning. In English, in particular, effective understanding and effective writing can flow from the stimulus of discussion, drama, and performance, as from the traditional routines of grammar, comprehension and essay writing. With this in mind, and in the light of the decreased emphasis on speaking and listening in the current curriculum, the central theme of the summer edition of Teaching English will be Storytelling in primary and secondary English. An idea that recurs throughout the magazine is the power of storytelling to motivate students (and teachers), its potential in stimulating and activating students’ (and teachers’) creativity, and its consequent potential to improve students’ literacy. We look at storytelling from a range of perspectives. 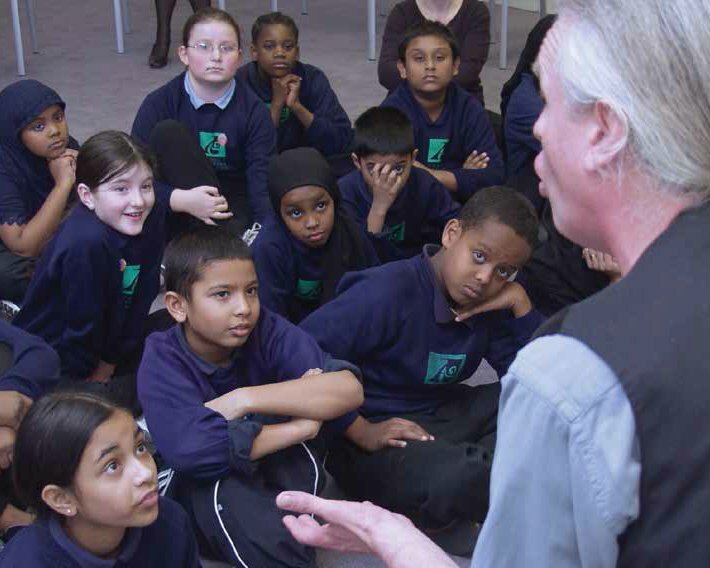 Tony Wilson suggests ways of teaching oral storytelling to children. Georghia Ellinas explores storytelling in the context of Shakespeare’s stories at the Globe. Carolyn Drever recounts what happens when storytelling and outdoor education come together. Debbie Chalmers and Mick Connell focus on the range of creative work that can emerge when the teacher becomes storyteller. In a similar vein, Chris Parton and Joan Foley report on teacher-as-storyteller in the ‘Classic Tales in English’ project. Meanwhile, Pete Bearder discusses the power of oral performance in his account of his work as a Spoken Word Educator in London. We feature two articles by James Durran intended to help English departments think through some fundamental issues to do with assessment and learning objectives. Peter Thomas’s detailed exploration of how to improve students’ writing – by focusing on sentence structure and sequence – is essential reading, and its concerns are echoed by Harry Ritchie’s call for a move away from traditionalist notions of grammar and towards grammar-in-use. Andrew McCallum, meanwhile, suggests strategies for dealing with unseens at GCSE, whilst Amy Forrester urges NATE members to consider organising English ‘teachmeets’ to share good practice. 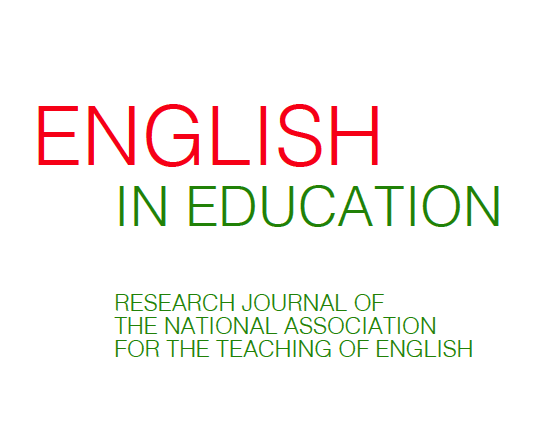 As usual, our news and review pages feature a survey of recent curriculum news and reviews of recent publications, whilst regular columns by Tom Rank and Keith Davidson explore topical issues in English. We also remember the life of Peter Medway, who died this year – a longstanding friend of NATE and a key figure in the history of modern English teaching. 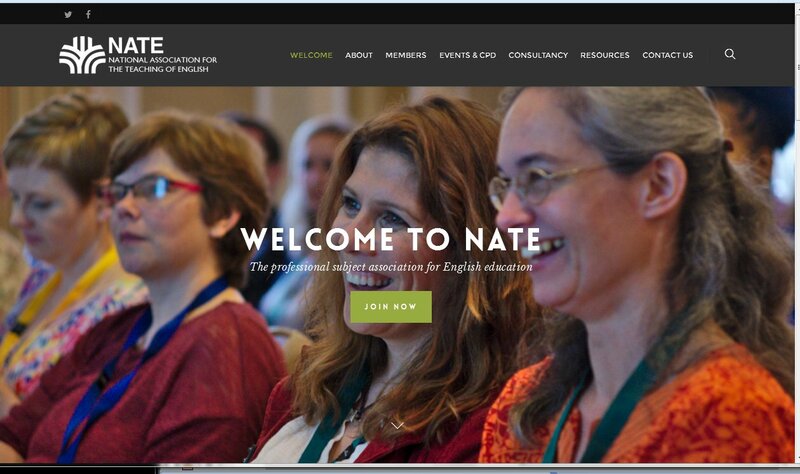 If you are a member of NATE, you’ll receive Teaching English in the mail at the beginning of June. To join, click on the main website (link on right) or click here.